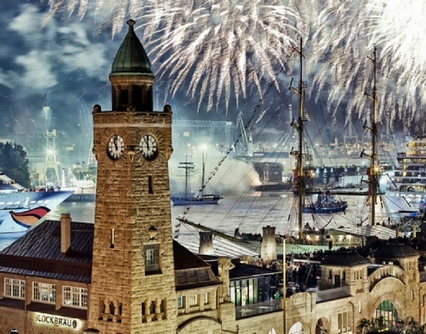 Hamburg is the most plenteous city in Europe. It is a media centre with publishers like Spegel and also has a very powerful industry. More than 12.000 enterprises are the living proof of its financial strength. Thousands of visitors and businessmen visit the city daily that offers both a variety of sights for the tourist and great possibilities on the field of business. Hamburg is a city that is very friendly to the visitor with easy access everywhere, it makes you want to explore every part. We have the best suggestion for you that will help you enjoy your trip in every way. The most easy innovative and advanced way to travel in and out of the city is Van hire. Booking a minivan on-line does not require any special knowledge all you have to do is visit our website www.vanrental24.com and make the click that will change everything you knew about travelling. With 12 seat minivan rentals sightseeing tour is transformed into the most pleasant process ever, but let's start from the beginning. You are at the city with the third largest Harbor so a visit there is the first thing you have to do. Hamburg's wonderful harbor apart from a hub has 800 years of history. Take a boat tour and enjoy the amazing landscape along with the refreshing breeze. You can have an a class seafood dinner at Rive restaurant with bonus the lovely view. Close to the harbor the Historic warehouse district is located. It is the largest warehouse complex in the world. Canals are linked by the 100 years old warehouses that still store valuable products such as cocoa silk and oriental carpets the night lighting creates a majestic atmosphere. Next stop Hamburg Fischmarkt Fresh seafood's, exotic fruits, nuts and teas from every corner of the earth are all here. It is the ultimate paradise for every gourmet. The open air market right next to the 300 years old historic auction hall create a simply unique atmosphere. The emigration Museum Ballinstandt differs from anything else you have seen until now. Between 1850 and 1939 more than 5 million people emigrated from Hamburg to the New World. This museum actually narrates and revives this journey in an interactive way based on historical grounds It has also the largest genealogical database in the world. If you want to see from up close how architectural masterpieces look alike simply visit Hamburger Kunsthalle. It hosts the most important art collection in Germany. More than 700 years of art history can be found here. 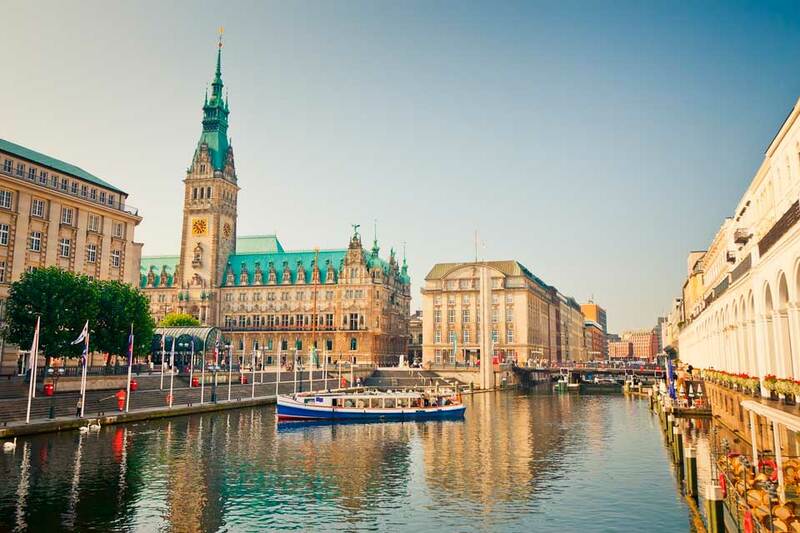 No matter how much you have seen of Hamburg is never enough, that is why you have left yourself to the comfort and the endless possibilities of minivan rentals so three more stops are a piece of cake for you. The St Michaelis Church is the landmark of Hamburg. It was built between 1648-1661 with incredible Gothic style. Its golden and white interior seats can host 3.000 people. It is time for a different shopping experience in one of the most beautiful and scenic areas. The Alster Arkaden. The historic arcades have their roots in Venechia Architecture and is the perfect place for a stroll. For some real entairtainment visit Reeperbahn the heart of nightlife beats here bars restaurants and vivid rhythms create an atmosphere that makes everybody surrender. Hamburg is one of the best places for a leisure trip, but it is also the place where business developments happen daily. These people cannot afford to stay only in one place or stay only close to the center. They have to move constantly and return to their base in no time. Is this sounds impossible to you? The good news is that now you have an ally on your side. Van Hire is your reliable on road assistant that takes you everywhere easily quickly and with absolute accuracy. These possibilities are what makes Van rental something much more than a vehicle Van rental is the ultimate travelling tool.